MANILA, Philippines — It was in 1981 on a wintry February day when Pope John Paul II set foot in Japan. He was the first pontiff to visit the largely non-religious country and the Philippines might have had a role in this significant moment in history. “So we had the chance to welcome [the] pope in Asia. So he came to Japan before going back home. In that sense, thanks to Saint Lorenzo Ruiz he can come to Japan. You Filipinos brought us the pope,” Kazuo Miyata, manager of the 26 Martyrs Museum in Nagasaki, said during a guided tour last August. Pope John Paul II on that year went on a pastoral visit to Asia, particularly the Philippines then Japan, to beatify Lorenzo Ruiz and 15 other martyrs tortured and killed between 1633 and 1637 on Nishizaka Hill during the Catholic holocaust in Japan that spanned 250 years. The pope came to the Philippines upon the invitation of Manila Archbishop Jaime Cardinal Sin. It was the first time that a beatification was held outside of Rome. Six years later in 1987, the 16 martyrs were canonized by Pope John Paul II and Lorenzo Ruiz became the first Filipino Catholic saint. The Catholics went underground amid persecution and despite the absence of priests for over two centuries managed to pass down their faith through generations. 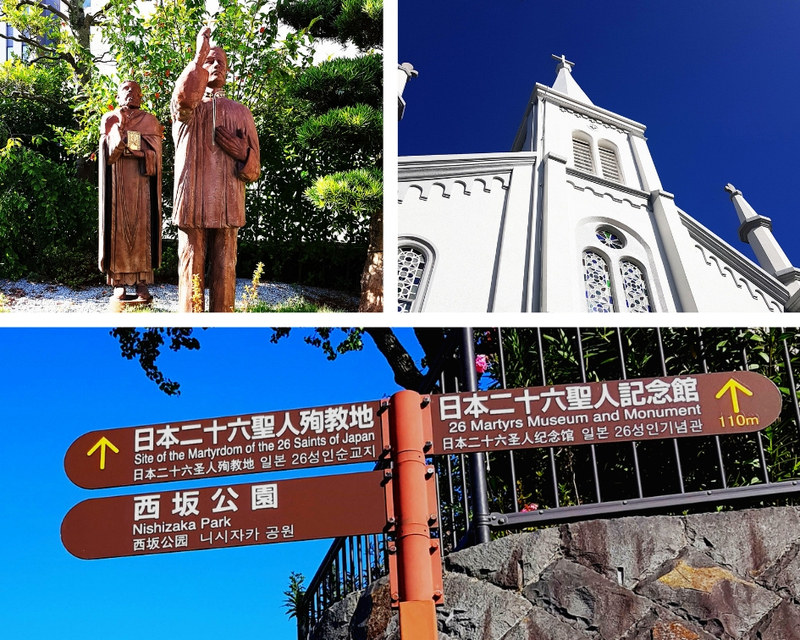 The spot where Catholics were martyred on Nishizaka hill is now designated as a pilgrimage site and Japanese National Sanctuary. On the hill are a museum and monument dedicated to the first 26 Catholic martyrs crucified in 1597. A short walk from the museum is the Nakamachi Church where the monuments of Saint Lorenzo Ruiz and his 15 companions are located. Nishizaka Church, which is dedicated to St. Philip, one of the 26 martyrs, is also nearby. The church’s architect has imitated the famous Sagrada Família spires of Antoni Gaudi. For a guide on where to go on a pilgrimage tour in Japan and some travel hacks and tips for tourists, check our stories here and here.